Chantal was a Masters student in the Masters of Science in Interdisciplinary Health Sciences program at the University of Ottawa. She previously completed an Honours Bachelor of Science in Biomedical Sciences at the University of Ottawa in 2014. She is highly interested in women's reproductive health and pregnancy. Her current research focuses on exploring the mechanism by which exercise during pregnancy leads to optimal fetal health outcomes. Specifically, she is investigating the impact of exercise-induced myokine secretion during pregnancy on the biology and function of the placenta. Tasfia held the title of Dr. Bainbridge's first graduate student. She completed her Masters degree working on the effects of folic acid supplementation on placental health and function in 2015. Currently, Tasfia is a medical student at the Kansas City University of Medicine and Biosciences in Missouri, USA. Her research interests include maternal-fetal health, bioethical issues, and preventative medicine. When she isn't studying, Tasfia enjoys skygazing, spending time with loved ones, the occasional painting, and planning her next globe-trotting adventure. Peter was a fourth year undergraduate student at the University of Ottawa studying an Honours B.Sc in Biopharmaceutical Sciences (Genomics). He started working as a laboratory assistant for his summer 2016 co-op workterm and continued in the fall for his honours thesis. His research interests include prenatal health and development, and the role of nutrition during pregnancy. Sapir was a fourth year Health Sciences undergraduate student at the University of Ottawa. She began working in the Bainbridge lab in 2016. She worked on a project using immunohistochemistry to identify antibodies that are able to detect subclasses of preeclampsia. Her research interests include women's reproductive health and maternal-fetal medicine. Neha was a fourth year undergraduate student pursing an Honours B.Sc in Biomedical Sciences at the University of Ottawa. Her interests include reproductive biology, as well as global health and development. Miesha did her Honours project for her BHSc at the Bainbridge lab on the effects of niacin supplementation on the placenta. She is currently enrolled in medical school at McGill. 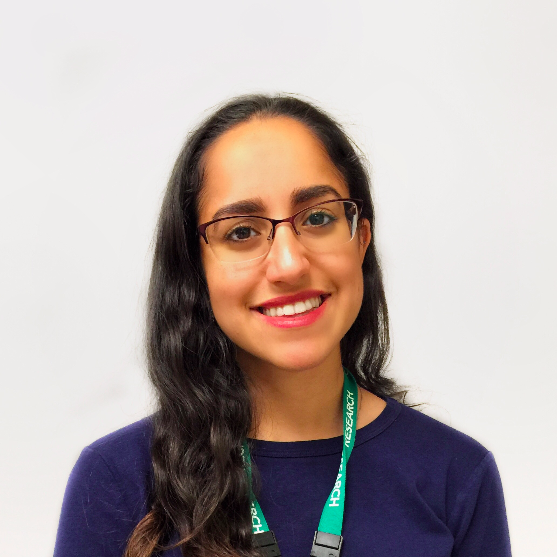 Her current research interests include medical education, specifically how students develop connections with different patients in the early stages of their medical training. Christopher worked in the Bainbridge lab for two years between 2013 and 2015 on projects related to preeclampsia and IUGR. He is enrolled as a medical student at the University of Ottawa and is currently collaborating on a research project pertaining to the prevention of atrial fibrillation in postoperative cardiac surgery patients at the University of Ottawa Heart institute. Under the guidance of Dr. Bainbridge since 2012, Ilan has completed his undergraduate honours project and multiple summer research projects examining the effects of folic acid on placental health and function. Most recently, Ilan has also worked on the modification of an assessment tool for placental pathology. After obtaining his Honours Bachelor of Health Sciences from the University of Ottawa in 2014, Ilan commenced his medical studies at the University of Ottawa. His current research interests include maternal-fetal health, preventative medicine, and medical education. Sanjana started working in the Bainbridge lab in January 2013 as a UROP student. She worked on the role of SIRT1 in the placenta as a stress response protein. Essentially, she looked at the quantification of SIRT1 expression within normal, and IUGR human pregnancies. After completing her UROP project, she took a break for a year. She came back to the lab to do her honours thesis project, where she examined the effects of decreased and absent SIRT1 placental protein expression on placental and fetal growth, placental hypoxia and vascular development in a transgenic mouse model. She graduated in 2015 and is currently working at Health Canada. In the fall of 2016 she will be starting her Masters of Public Health. Sonya is a University of Ottawa Biomedical Sciences graduate. Her field of research focuses on investigating potential preventative therapeutics for preeclampsia, that will ultimately make for safer pregnancies in the future. Her passion for clinical research and medicine has propelled her to pursue medical education at the University of Toronto. Outside of research and education, she loves to travel, horseback ride and play beach volleyball. Sadad worked in the Bainbridge lab from September 2015 to April 2016. He completed his fourth year honours thesis where his project focused on the identification of subclass specific biomarkers for screening preeclampsia. He finished his undergraduate degree in 2016 and will be starting his medical education at McMaster in the fall of 2016. Aside from the lab work and school, he loves to travel, watch basketball and take photos. Georges completed his Bachelor of Health Science degree at the University of Ottawa in 2015. Presently, he is a medical student at the University of Ottawa and he is currently working on analyzing the migration patterns and wear of highly cross-linked polyethylene hip prosthetics, as well as clinical outcomes post-hip replacement. Hadi was a graduate from the University of Ottawa Honours in Health Sciences program and began to pursue his medical education at the University of Ottawa in the fall of 2016. His honours project involved assessing the effect of SIRT1 protein on placental cell functioning. Outside of his passion for science and research, Hadi is an avid soccer player, swimmer and traveller. Fadi Gorgi graduated in 2018 with an Honours Bachelor in Health Sciences from the University of Ottawa. Fadi’s honours project focused on the effects of SIRT1 knockdown on placental development, specifically angiogenesis. Aside from research, Fadi is passionate about theology and enjoys spending spare time playing basketball and volunteering at various communal organizations.